Intel Corporation should be well known to anyone who has access to a computer, as by value it is the world’s biggest manufacturer of microprocessors – the ‘engine’ for many computers – and is the supplier of these and other parts to such companies as Dell, Hewlett Packard and Lenovo (formerly IBM), not to mention Apple. So just what is the net worth of Intel? Authoritative sources estimate that the value of Intel is now over $150 billion, as of early 2017, with almost two-thirds of its current $55 billion total revenue coming from sales of hardware components for use in laptop, notebook and desktop computers. The company went public within a couple of years, raising an impressive amount at that time of $6.8 million, over $23 per share. For the first decade of its existence, the company concentrated on bipolar 64-bit static random-access memory (SRAM), double the speed of competitors products, then the bipolar 1024-bit read-only memory (ROM), followed by the silicon gate SRAM chip, the 256-bit 1101. Improvements in and expansion of the range of products during the 1970s, plus modernised manufacturing processes meant that Intel’s business grew exponentially during the 1970s, but still concentrating on memory devices. The net worth of the company as well as its profits increased significantly. Although the microprocessor had been created in the early ‘70s, there was no significant market until a decade later, when PCs became more widely in demand, and in any case when Japanese competition in memory products had also considerably increased. Moore and Noyce decided to concentrate on the further development of a micro-processor, which miniaturized the CPU of a computer, enabling much smaller machines to perform calculations formerly the province of only significantly larger machines. Supplying major companies such as IBM with microprocessors for PCs, and eventually laptops and tablets, saw a rapid growth in Intel’s business during the 1990s, and then into the new millennium. Of course competition, and consequent legal accusations over intellectual property rights and industrial espionage ensued, plus converse arguments over anti-trust issues, but Intel still managed to stay at the head of the field in the development of micro-processing, and therefore profitability saw the company’s net worth at least maintained. Intel undoubtedly regained its pre-eminent position in 2006, when its Core microarchitecture was released, to general critical acclamation, as the product was a huge advance in processor performance. This was followed in 2008 by Penryn micro-architecture, and later that year, Nehalem architecture, both positively received and maintaining Intel’s leadership in micro-processing. 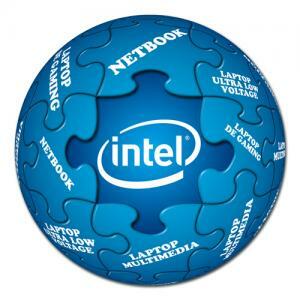 However, Intel has also spread its wings somewhat in recent years. Among other acquisitions, it purchased computer security technology company McAfee in 2010, and in the same year Infineon Technologies, integrating Intel’s silicon chips with its wireless modem. In 2011 the specialist network switches company Fulcrum Microsystems was bought, and in 2012, a stake in ASML Holding, to assist Intel in research into wafer technology and extreme ultra-violet lithography. Other acquisitions have included such companies as – or parts of – Indisys, Password Box, Vuzix, Lantiq, and more recently design company Altera for over $16 billion. From a business perspective, the company still produces three-quarters of its products in the US, but 75% of its revenue come from overseas. Additionally, companies such as Achronix, Microsemi, Tabula, Netronome and Panasonic are utilising leased excess Intel manufacturing capacity for their own products. Intel’s headquarters are still in California, but its largest facility is in Washington County, Oregon, employing 18,600 workers, the biggest employer in the state and the same in New Mexico. 10,000 are employed in Arizona, and complexes are also located in California, Colorado, Massachusetts, Texas, Washington and Utah. Internationally, Intel facilities are now in 63 countries, including China, India, Russia, Israel, Argentina, Vietnam, Costa Rica, Malaysia and Ireland. Finally, in what can be seen as a philanthropic effort, Intel is a member of the Alliance for Affordable Internet (A4AI), which also includes Google, Facebook, and Microsoft, the aim of which is to make internet access more affordable worldwide, as currently just 31% of people in developing countries are online –with the aim of reducing costs to under 5% of family income.